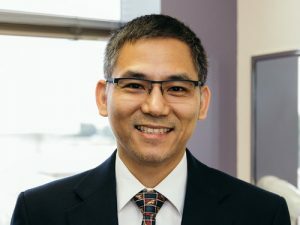 Dr. Phisitkul is a mid-career orthopaedic surgeon with extensive clinical experience in taking care of complex foot and ankle conditions from a tertiary care practice of over ten years. His contribution to the society are based on strong foundation in clinical care, research, and teaching. Using knowledge and skills from fellowship training in sports medicine and foot and ankle surgery, he has taken care of a substantial number of patients in the midwest region for both primary and revision conditions. These included helping college and professional athletes in returning to sports all the way to giving salvage options to patients with severe foot and ankle deformity. He has published over 90 articles on Pubmed and many book chapters. He has a strong leadership role in both local and national levels of the society.